Happy World Nutella Day everyone! If you follow Manu’s Menu more or less regularly, you will know that I LOVE Nutella. I grew up eating it in Italy (yes, it is an Italian product!) and I still love it. However, you may also know that I have recently discovered that I am severely lactose intolerant. So, besides cutting off dairy from my diet, I also had to learn how to read labels. You would not believe the amount of non-dairy products that contain lactose!! Things like breadcrumbs (I kid you not! ), or stock, or cold meats… The list goes on and on. Among these products is Nutella. Yep, it contains milk. So, what did I do?? 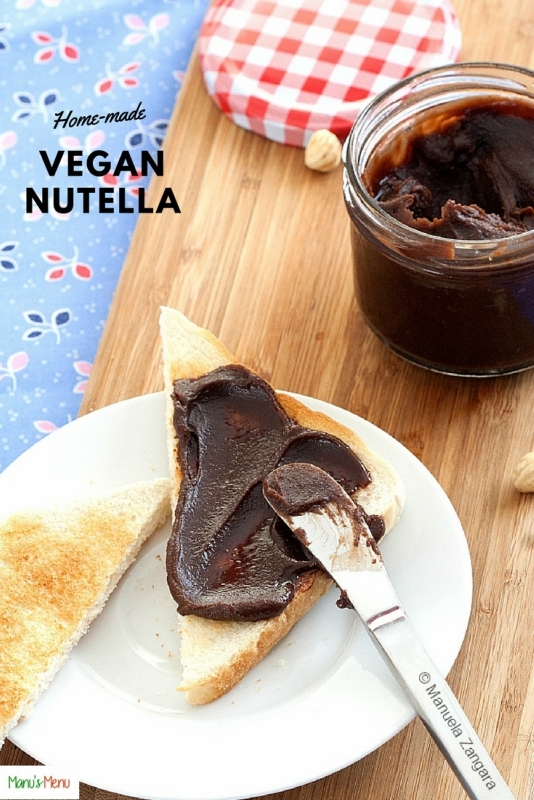 I looked for a dairy-free alternative and came across this amazing recipe for Home-made Vegan Nutella! Now let me tell you… this is an absolute must make. 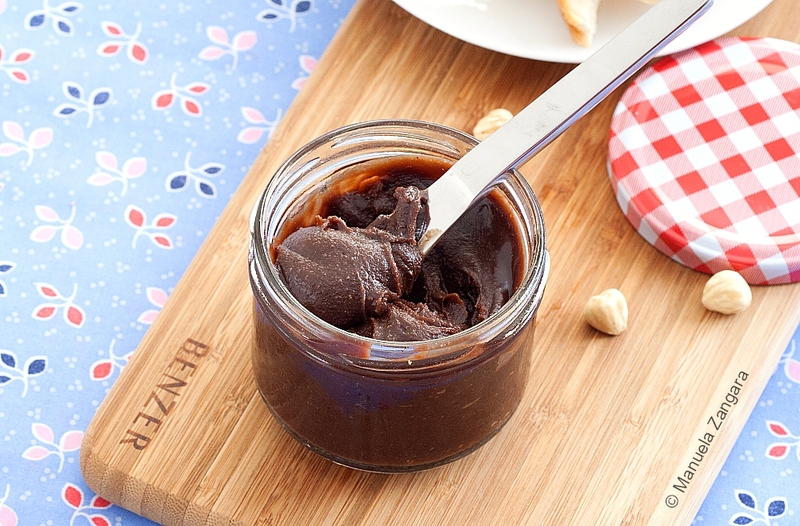 It takes about 20 minutes to whip up this home-made Nutella, so you really have no excuse. The hardest part will be to wait for it to set in the fridge, as you will want to eat it immediately. The taste of hazelnuts is amazing. However, this version is a little less sweet than traditional Nutella, as it is made with dark chocolate and not milk chocolate (for obvious reasons). It is still quite sweet anyway, and I must admit that I prefer it this way. Also, a little announcement. I have finally started to make videos to go with my recipes. 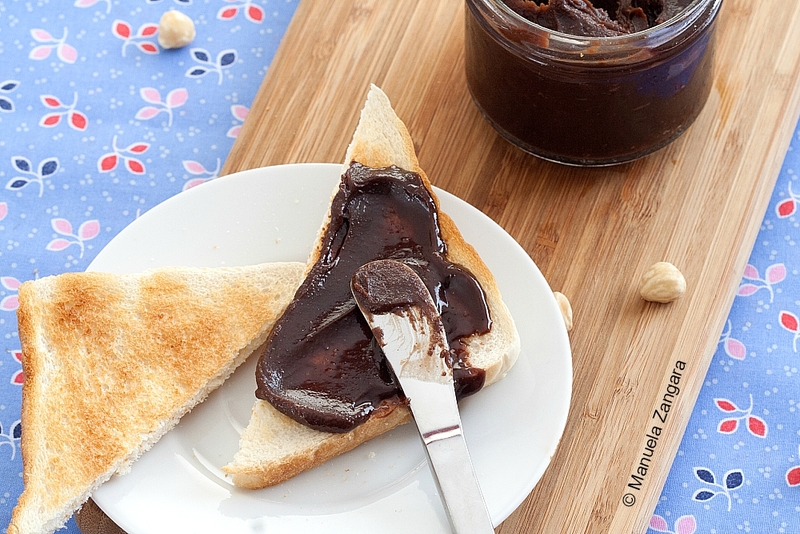 So, just before the recipe card, you will find the video for this amazing Home-made Vegan Nutella! Watch it and let me know what you think! There’s still a lot of room for improvement, but I am already having fun! So, what are you waiting for?? Let’s celebrate World Nutella Day! 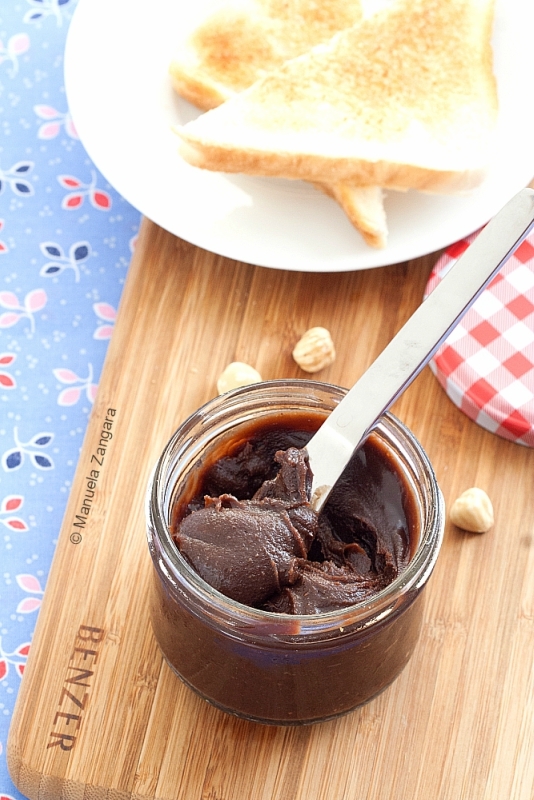 Home-made Vegan Nutella – how to make a vegan and dairy-free delicious tasting hazelnut spread in less than 20 minutes! Blend together the toasted hazelnuts, chocolate, brown sugar, lecithin until you get a smooth paste. This will take some time, so don’t give up! Try and get it as smooth and silky as possible. In a small pot, mix together the sifted cocoa powder and soy milk. Put it on the fire and stir until mixed. Add the hazelnut paste and vanilla extract and whisk well. Stir in the vegetable oil, and mix until well combined. Cook for a couple of minutes on low, always whisking. Just before it starts to boil, put the fire off. Pour your spread in a glass jar and refrigerate for 4 hours before eating. 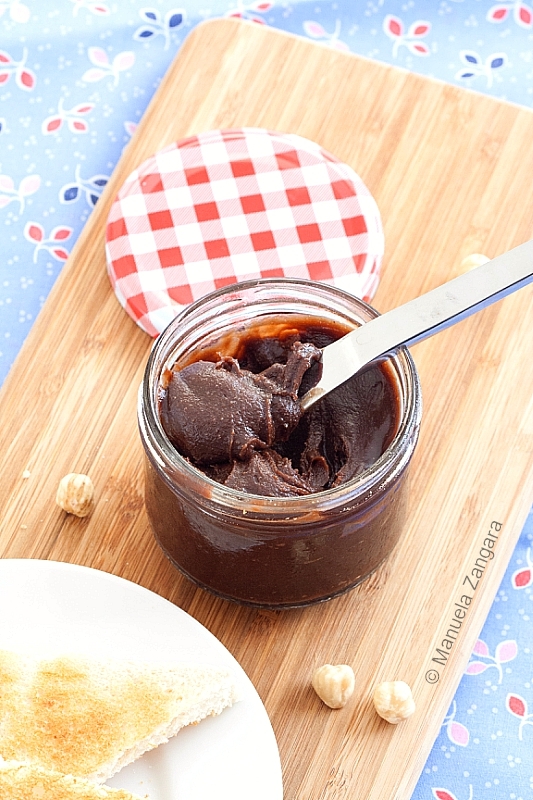 This Home-made Vegan Nutella keeps well in the fridge for 3 to 4 weeks, but it won’t last that long! This vegan nutella looks yummy!!! I usually like to prepare , thanks for sharing!! Homemade nutella? Oh, I’ll definitely try this recipe tonight! I can’t wait, I bet it’s incredible!